We are still up to some serious craftiness at Today’s Mama. 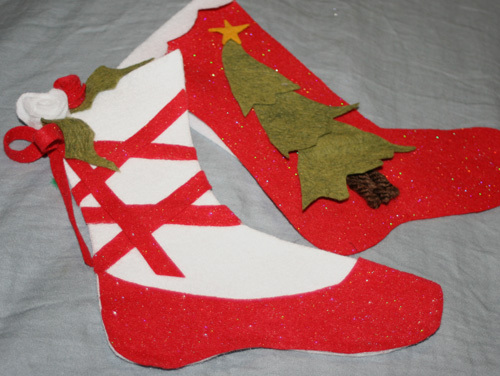 Come see today’s post about making felt Christmas stockings. These are quick and easy (my favorite) and are so darling. Your kids will love making them for favorite friends then stuffing with a bit of candy. The inspiration for these, was actually my own beloved Christmas stocking growing up. Which was a red ballet slipper. I think my Mom made them, she is impressive that way. She also had cowboy boots for the boys. So clever. Give it a try, you can make them big or small, but either way, you’ll love how felt stockings turn out. Felt stocking are the best!